Standard HPC benchmark cases from Ansys CFX are selected to test performance and scalability of SyncHPC. 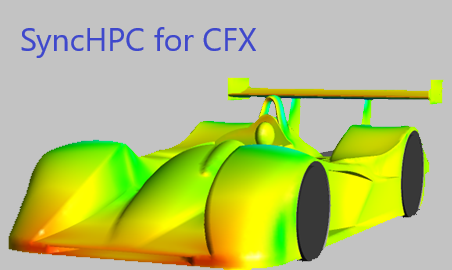 This blog post presents the results of selected Ansys CFX cases on SyncHPC. Transonic flow around an airfoil. Syncious team configured it to run for 20 iterations. Syncious team configured it to run for 50 iterations. Each case was executed on 8, 16, 32, 64 and 128 CPU cores. The ‘CFX Solver wall clock’ time is noted for each run. Above results show almost linear performance improvement as the number of CPU cores is increased. These results will help users to predict the possible performance improvement on SyncHPC.